Today, 55,000 CUPE members in Ontario began the largest legal job action in our union’s history. 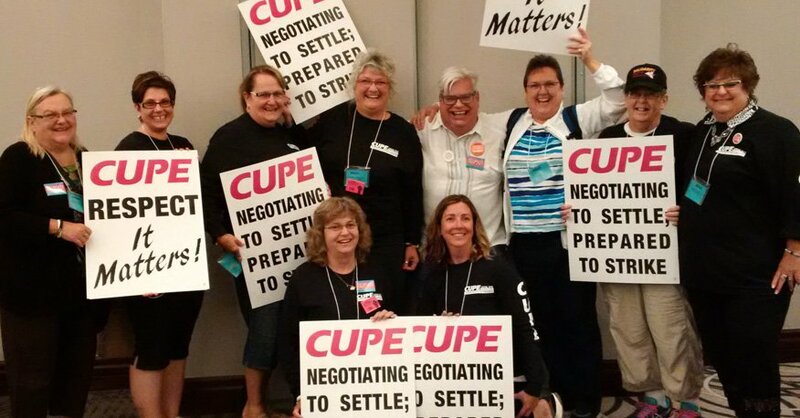 CUPE education workers’ job action begins today with work-to-rule. Our members are prepared to escalate their job action plan if a fair collective agreement cannot be negotiated. They have been clear with the government—they’ve been negotiating to settle, but prepared to strike. Today, our 55,000 members who are education workers in schools start their job action with the support and solidarity of more than 200,000 other CUPE members in the province of Ontario who are municipal, health care, social services, university and airline workers.